Start your review of Amber Roy. This is a team that prides itself on customer service and a great experience and I love being a part of that. As an individual, being treated right and feeling confident in my purchases is important to me, so I am proud to be a member of a team that values those same standards for our customers. Outside of work, I spend my time with family and friends, reading, trying new recipes, and bike riding. I enjoy being around people and I look forward to meeting each and every one of our customers! Send a message to Amber Roy. Thank You! 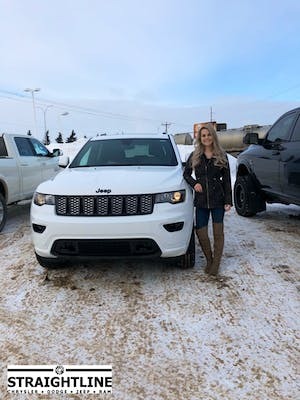 Your message has been sent to Amber Roy at Straightline Chrysler Dodge Jeep Ram. "I second that Best dealership experience I've ever had!" ALL of the staff, from the owners to the guys in the service area are fantastic! 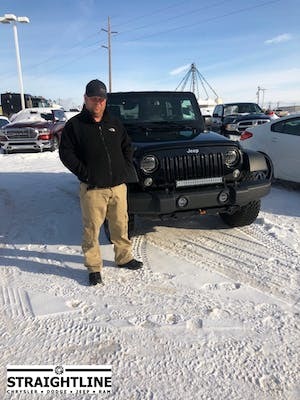 Our sales guy Jake was super friendly, understanding, and very helpful. The finance lady Amber was really sweet and made things quick and easy. Not only that, while we were doing the finance stuff I had to have my kids there...there was no need to worry about them because the rest of the staff were playing with my kids as if they were there own, making things fun for the Whole family! 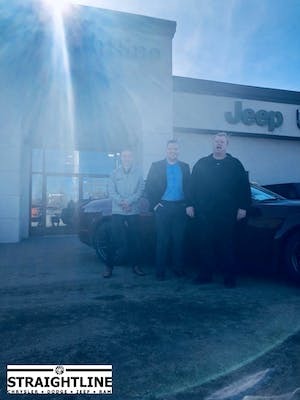 "Best dealership experience I’ve ever had ! " 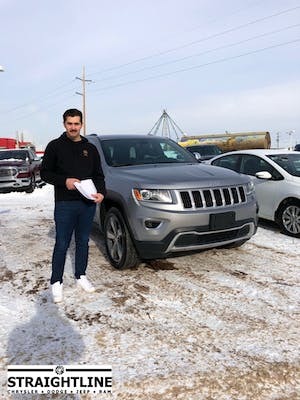 Had a great experience buying a Jeep! Jake and Amber made me feel so comfortable and took care of me like I was family! Would highly recommend them ! "Amazing! So friendly and helpful, highly recommend :)"
The team at straightline was professional and extremely helpful! They have your best interest at heart, and are always willing to go the extra mile to help out! 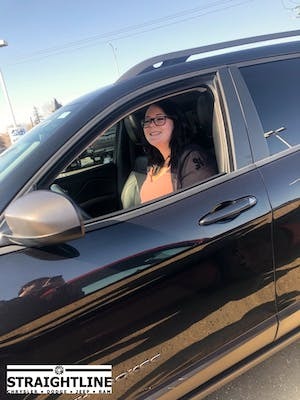 Great first vehicle purchase experience, highly highly recommend buying from this dealership! Being from Grande Prairie. They made me a deal to get my dream ride. When I arrived. The Jeep Rubicon was all shined up inside and out. I would recommend anyone to shop with these guys. They will take care of you right to the beginning and the end. "Quick, convenient and straight to the point." Ty Adams got me what I wanted rather quick and get me a deal that I was happily to accept. I would recommend family and friends to come buy from him! Amber was simple, quick at getting melt information to process my finances. Quite happy with both helped me find my new vehicle.